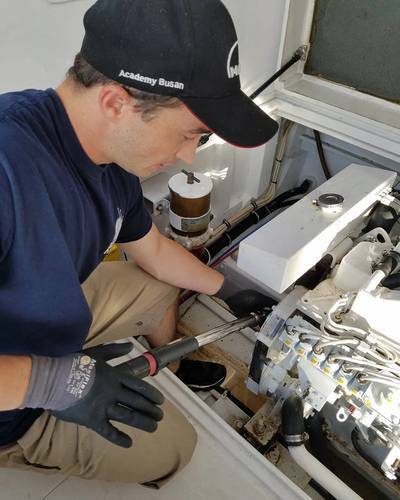 FHGME provides mobile service to engine rooms of yachts. Photo courtesy FHGME. FHGME services yachts in South Florida. Photo courtesy FHGME. Marine engineer Rob Fletcher of FHGME. Photo courtesy FHGME. Richard Grennen is a graduate of USMMA. Photo courtesy FHGME. As vessels increase in size, engine rooms increase in complexity. With superyachts approaching the size of small ships, qualified engineers with commercial and military experience operating larger vessels effectively prevent and troubleshoot problems. 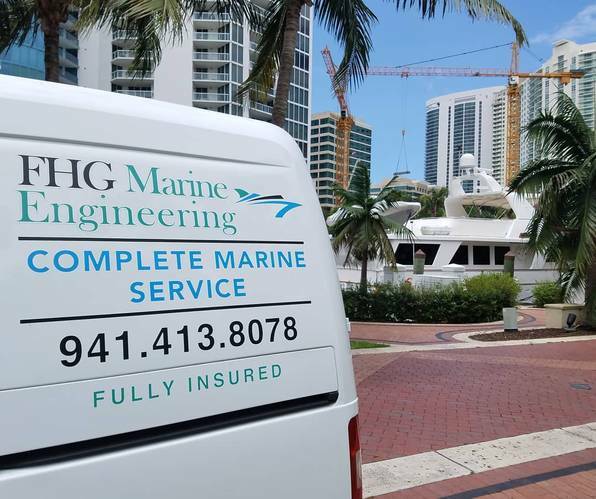 FHG Marine Engineering (FHGME) is a niche contractor with a business model providing concierge mobile preventative and routine yacht maintenance with emergency repair to luxury yachts in South Florida, minimizing downtime for vessels with 24-7 operations. 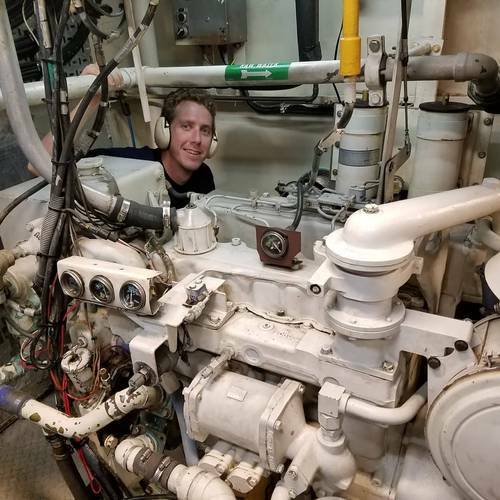 With years of engine room experience, FHGME engineers sailed on commercial and military vessels after graduation from the United States Merchant Marine Academy (USMMA) with advanced education in marine engineering and shipboard operations. 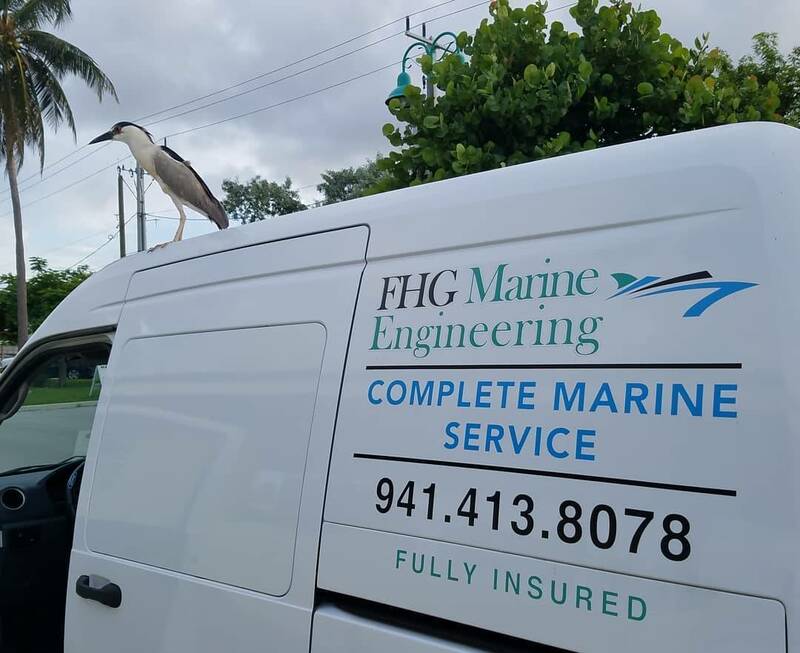 FHGME specializes in diesel engine in-frame overhauls, generator overhauls and preventative maintenance, also servicing and supporting hydraulics, HVAC-R and electrical systems. “From shipyards to client backyards, FHG Marine Engineering is here to provide mobile concierge and 24/7 emergency service support onboard any motor vessel, ship or large fishing yacht or luxury yacht in South Florida,” said Richard Grennen, president of FHGME. Grennen and his business partner, Robert Fletcher, mastered USMMA’s educational theory while completing mandatory, five-year tours onboard commercial and military ships. Both are First Assistant Marine Engineers, Unlimited Horsepower.